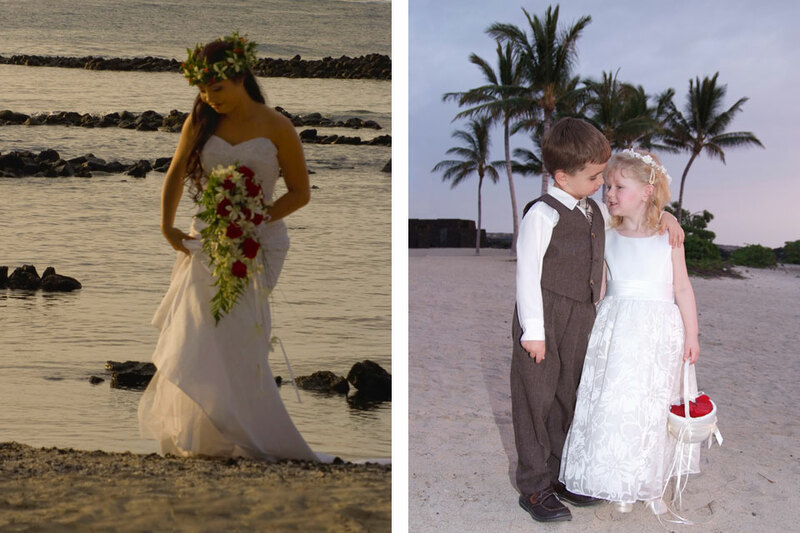 Aloha Kiss Weddings provides personalized destination weddings in Kona Hawaii. We are an all-inclusive wedding service on the Big Island of Hawaii and we are dedicated to giving you the destination wedding of your dreams at a price you can afford. 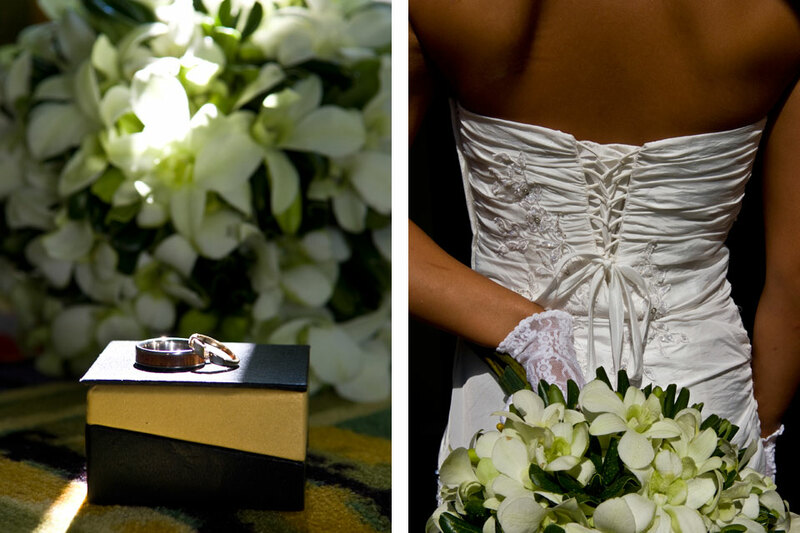 Each of our wedding packages includes professional wedding photography and wedding coordination. 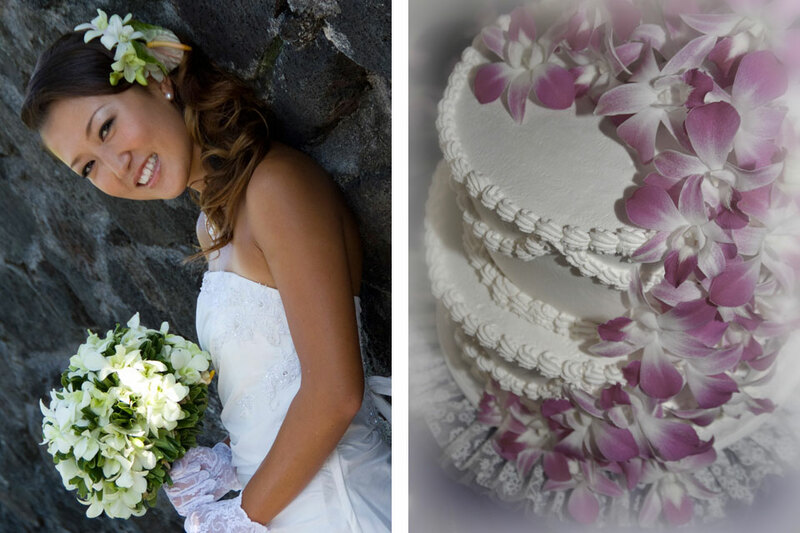 We want your wedding in Kona Hawaii to be relaxed, romantic and stress free. 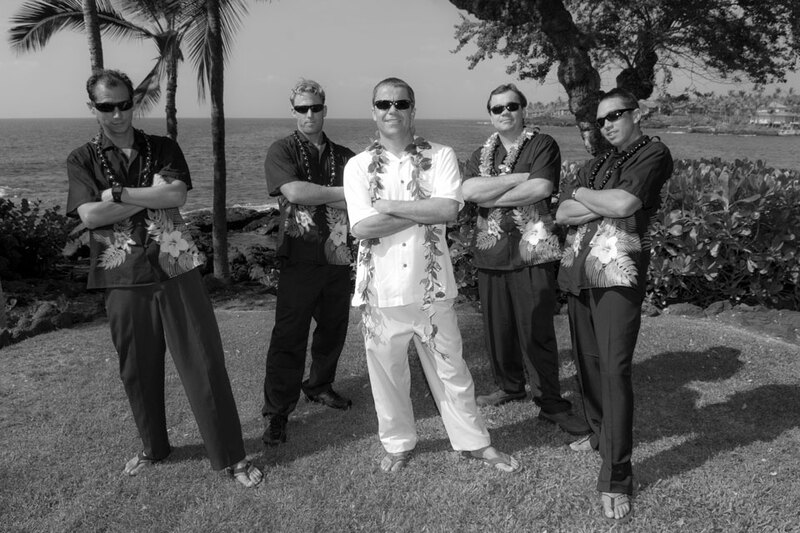 Call us at 808-345-3327 to see if your wedding date is available and say “I do” with an Aloha Kiss Wedding. 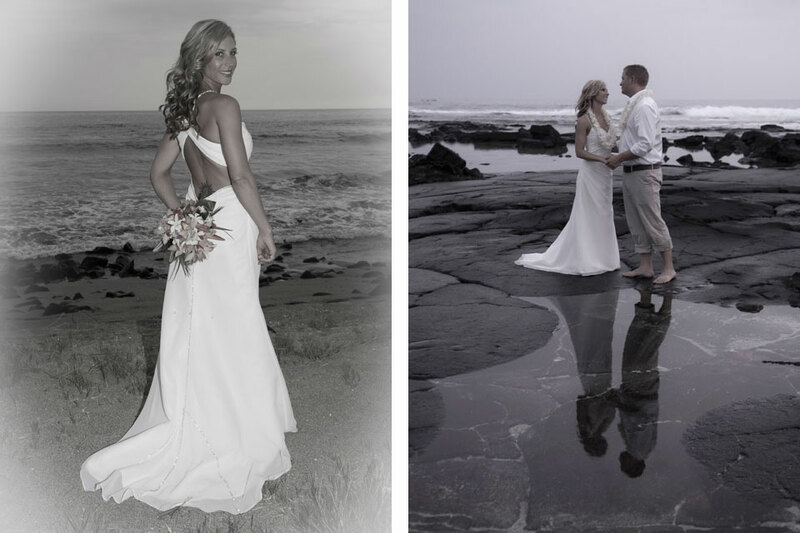 We will do everything we can to make your dreams of having a destination wedding in Kona Hawaii become a reality. 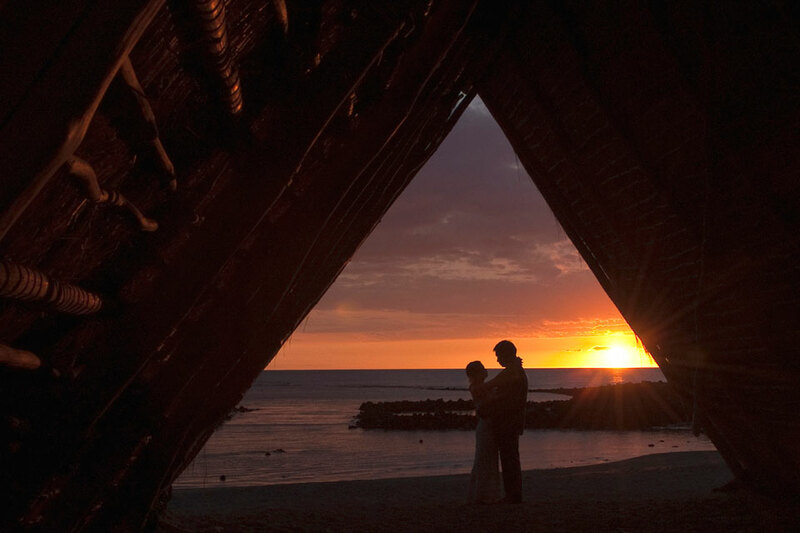 The West side of the Big Island offers stunning sunsets, clear azure Pacific Ocean vistas and pristine coastal locations for your destination wedding. We offer reasonable wedding packages. Every wedding is unique and we use professional Nikon equipment to tell your story. We want to thank all you who have allowed us to photograph your wedding, engagement, renewal of vows, pregnancy, new born and family moments. Celebrating life and treasuring the memories makes the journey such a joy. We invite you to like us on Facebook.